In total 175 links were found which refer to Plus.net. The most used keywords in text links are Great Value Unlimited Broadband, Want Great Value Broadband? 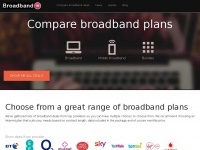 Choose and Powered by PlusNet PlusNet Broadband.. Individual words like PlusNet, Webspace, Community and Broadband are frequently used in text links from other websites. The most important link sources for this website are Free-call.co.uk and Acception.co.uk. The homepage of Plus.net and the subsite /help/broadband/about-your-plusnet-webspace/ are most referenced by other websites. The table shows the most important links to Plus.net. The table is sorted in descending order by importance. 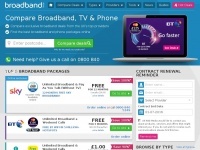 2. www.acception.co.uk Paying too much for broadband? 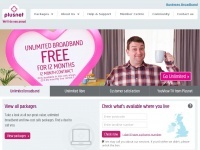 Move to PlusNet broadband and save£££s. Free setup now available - terms apply. PlusNet broadband. 5. www.hardyplantcentre.co.uk Our Internet provider here is Plusnet, we have been with them for many many years, even with our weak exchange we get a very reliable service, which just does what we want, without fuss or bother. 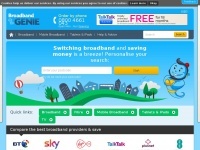 7. www.stc-webdesigns.co.uk Want great value broadband? Choose PlusNet. 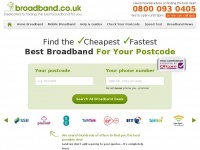 Up to 8Mb broadband for under £15. Free setup now available - terms apply. PlusNet broadband. 10. www.indian-runner.co.uk Our Internet provider here is Plusnet, we have been with them for many many years, even with our weak exchange we get a very reliable service, which just does what we want, without fuss or bother. The table shows websites of Plus.net, which are often linked by other websites and therefore they are classified as important content. 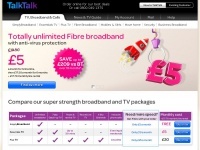 Broadband.co.uk - Broad­band.co.uk Dedica­ted to fin­ding the best ..
Broadbandin.co.uk - Com­pa­re broad­band deals, digital TV and pho­ne packa­ges ..
Talktalk.co.uk - Un­limited TV, Broad­band and Pho­ne Packa­ges: Now with ..